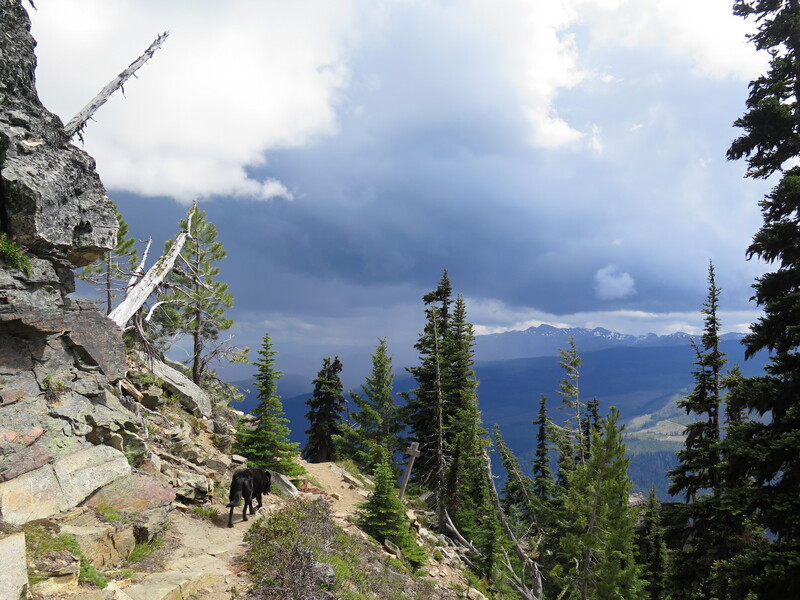 Although Western Washington doesn’t typically receive a lot of severe weather, other parts of the state certainly can and the mountains are no strangers to storms. This time of year the Cascades are quite capable of firing up afternoon thunderboomers. 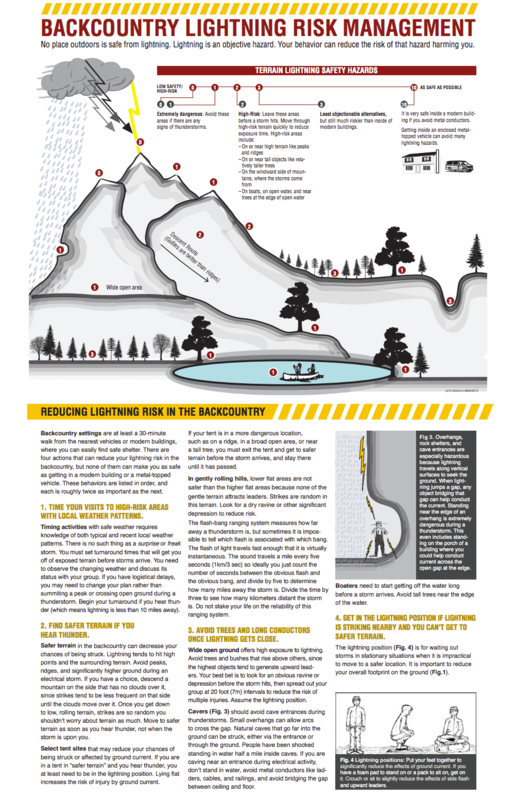 If you’re an outdoor adventurer, you should definitely take the time to educate yourself and know fact from fiction when it comes to thunderstorm and lightning safety. Growing up in Indiana, I’ve witnessed a lot of severe weather and powerful storms. Weather has always been a fascination and hobby of mine and in college I did some storm chasing and volunteer work as a SkyWarn Weather Spotter. Basically, I got to drive out to the corn fields, watch storms, use an old anemometer to measure wind speed, and radio in weather reports and observations. It was a fun gig that taught me a lot about severe weather, including what to do in lightning storms. Little did I know that on a hike to Alpine Lookout back in July of 2016 my brain would have to recall a whole lot of that information, mostly due to my own dumb mistakes! 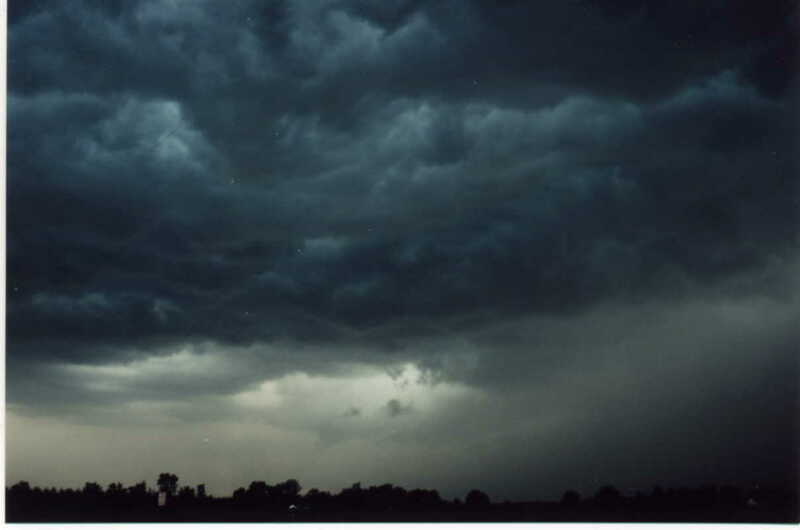 A photo of a pretty nasty storm from back in my Indiana SkyWarn days. Excuse the graininess, cameras in 2000 weren’t nearly as good as they are today! If you look closely you can see a funnel cloud in the photo. With time off from work I made a plan to hike to some fire lookouts I hadn’t yet visited. 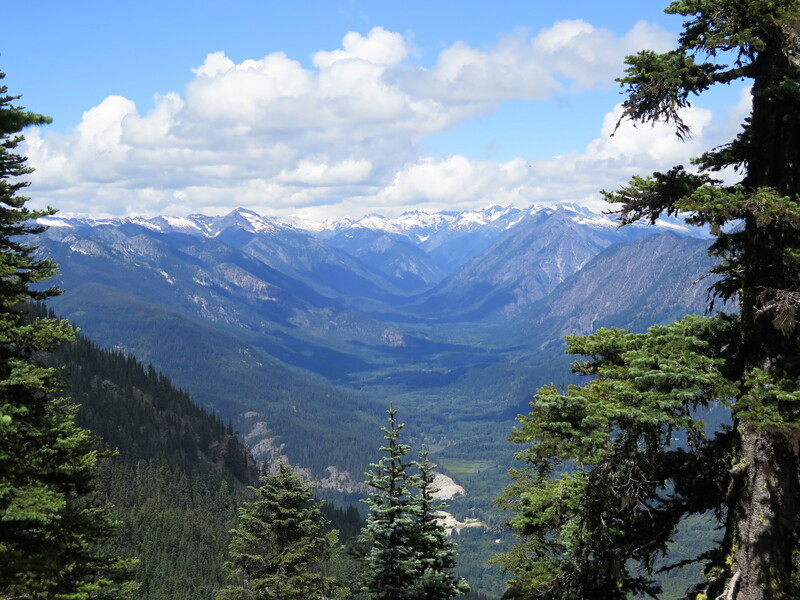 My first choice was to hit Alpine Lookout near Lake Wenatchee but with thunderstorms forecast in the Cascades I was forced to postpone both Sunday and Monday. Fire lookouts aren’t really an ideal destination during thunderstorms, go figure! When the forecast finally had a lower chance of scattered storms I decided to get an early start and make a go for Alpine Lookout with the idea that I’d turn around at the first sign of developing weather. Unfortunately, I didn’t get quite the early start I wanted and showed up at the trailhead around noon, a full 2 hours later than I had planned. Weather conditions were looking pretty favorable and wow, what views! Halfway up the trail I ran into a couple heading down, the only other party I’d see all day. They too had delayed their plans to visit the lookout earlier in the week due to weather. With the skies currently sunny, we all agreed that today seemed more promising. Well, I was about to be reminded how quickly weather changes and how even someone like myself who should know better can make some dangerous mistakes. Let this be a lesson in how not to make bad decisions! Some building clouds to the south were my first indication that storms were brewing. I should have known better. 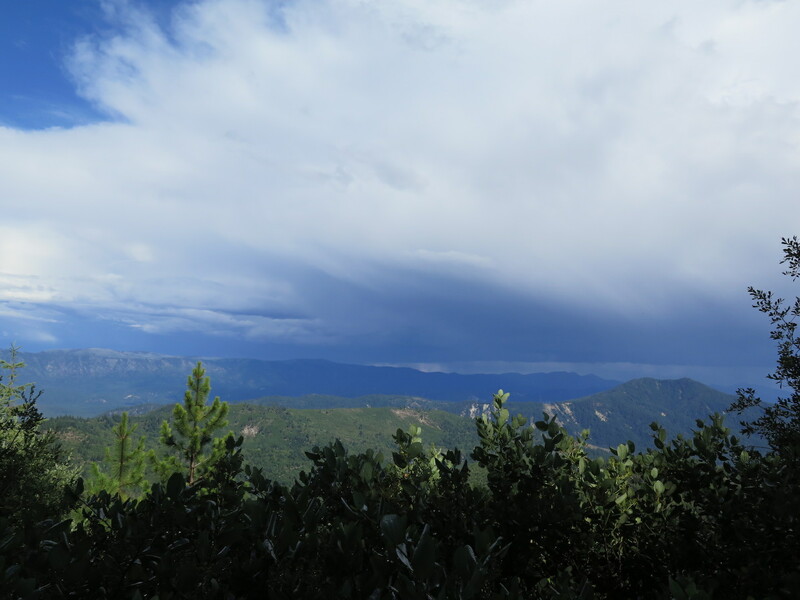 About a half mile from the lookout I noticed the clouds I saw earlier to the south had darkened and developed a huge rain band beneath them. This was the point at which I should have turned around and even that little voice inside my head agreed. Well, shoot. I decided since I was only a half mile from the lookout that I’d just hurry, get up there, skip my plan to have a nice lunch, and head back down. Even though a half mile seems close, it still takes about 10 minutes to cover that ground. Once I finally arrived at the lookout I realized how quickly those clouds were building and that they were headed straight for us. I also heard the first sounds of thunder. Uh-oh. South from Alpine Lookout. Hmmm, yeah… that blew up fast. It’s time to get out of here. FACT: If you can hear thunder, you’re already at risk. Amazingly, lightning can travel up to 10 miles horizontally. Needless to say I turned around immediately. I had made a huge mistake continuing up. Storms build rapidly and that short half mile had given this one plenty of time to fire up. Quite a few lightning bolts were coming from those clouds and every one was getting closer. 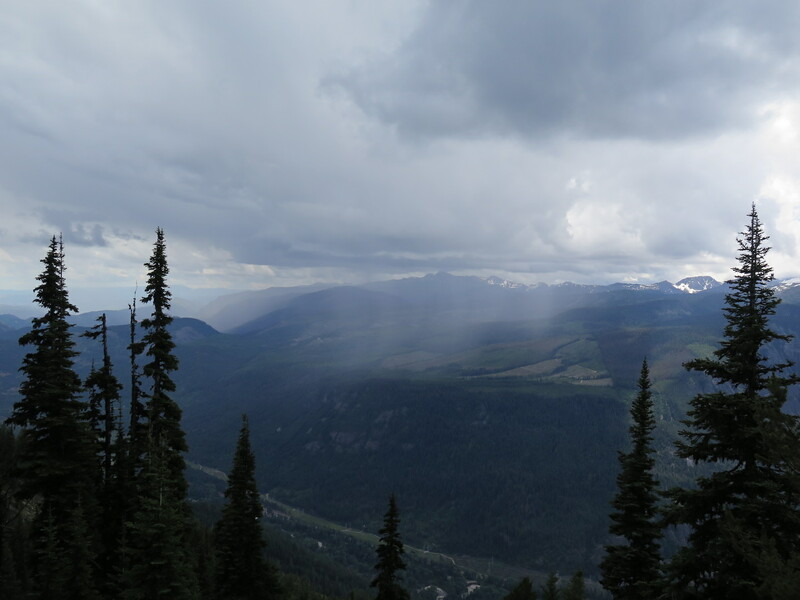 Oh you know, no better place to be during an inbound lightning storm than a fire lookout on an exposed ridge!!! Jake dog and I had to get down and get down fast. Ahead of us was a fully exposed 3 mile descent with little cover. The gravity of the situation clicked for me and I must say, my pack has never felt lighter! I ran, yelling at Jake to “go, go go!” and my heart started pumping a little bit faster. The problem was that instead of descending, we were traversing Nason Ridge, a very prominent, open ridge with zero trees or shelter. Lightning was getting closer by the second and I was basically one gigantic lightning rod. This was not good. The last photo I took before realizing we needed to get down and get down fast. F***! We finally hit a short stretch of trail that climbed up to the highest, most open spot on the ridge before entering a small grove of trees, pretty much the only cover anywhere. Jake and I sprinted as fast as we could across the ridge just as a bolt of lightning lit up the sky. The crack of thunder was instantaneous. The storm was right on top of us. Despite what many people think, trees aren’t necessarily a smart option for cover but the reality is that there really isn’t good cover when you’re caught outside in a lightning storm. There are; however, things you can do to mitigate the risk. My brain started churning through all the lightning safety tips I learned back in SkyWarn school. I found some smaller, shorter trees amongst a grove of larger trees and immediately took shelter in those, trying to stay away from the trunks. I took off Jake’s metal collar and leash and threw it down the trail away from us. I also threw my pack far away and crouched down in a lightning stance, the balls of my feet close together. I covered my ears with my hands and another bolt of lightning hit much too close. It was so close in fact that I could feel a bit of my hair getting zingy. Not good. I’ve only had once or twice in my life that I thought to myself “Hmmm… this could definitely not end well.” This was certainly one of those moments. It was clear that whatever was going to happen was pretty much out of my hands, so I just sat there and accepted that I had put myself into a pretty dangerous situation. Jake was a trooper, obviously stressed but sitting very obediently right next to me. A few more cracks of thunder indicated the storm was slowly moving away from us and across the ridge, but still very much on top of us. I didn’t move for probably 30 minutes, waiting for the storm to fully move away and remembering that you’re not safe until you can no longer hear thunder. After what seemed an eternity, the skies opened up with hail before finally turning blue and sunny again. I finally emerged from the trees with a huge sigh of relief, but saw more dark clouds forming in the distance. I quickly grabbed our stuff and told Jake “let’s get the f*** outta here!” I’m pretty sure I set a new speed record for a 10 mile roundtrip hike because we covered the 5 miles back to the car in just under 40 minutes! Jake kept looking at me curiously a few times, likely wondering why we were going so fast! Once back at the trailhead I sat in my Jeep for a few minutes thinking about how lucky I was. I’ve been in lots of severe weather and even survived three tornadoes but this was by far the scariest weather encounter I’ve ever had. There’s nothing comforting about being stuck on an exposed ridge during a storm. I couldn’t believe I had been stupid enough to put myself in that situation. 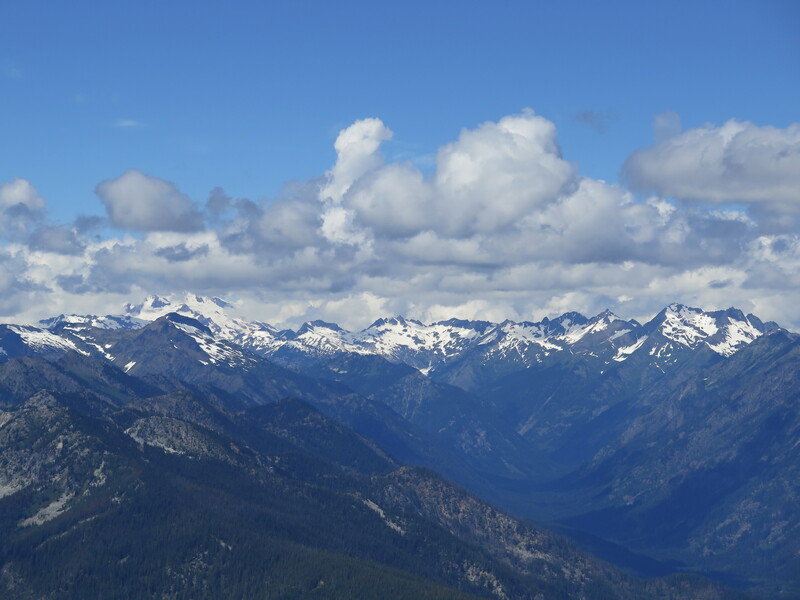 Starting late and being on a fire lookout summit at 2pm on a day with forecasted storms was a huge mistake. Not turning around when I saw the first signs of weather was another. Those 10 minutes heading up probably cost me 20 minutes of time that could have been spent getting off the ridge to safety. Once back to relative safety in my Jeep, I watched this storm just to the north. Not a good afternoon to be in the mountains! The best way to stay safe from lightning is to not put yourself in it! The only good shelter from a lightning storm is a significant, closed shelter. Rain shelters, sheds, or outhouses provide zero protection and an exposed ridge is the worst possible place to be. If you do find yourself outside during a storm, there really aren’t any safe places to be, but there are ways to mitigate your risk. Hike early. 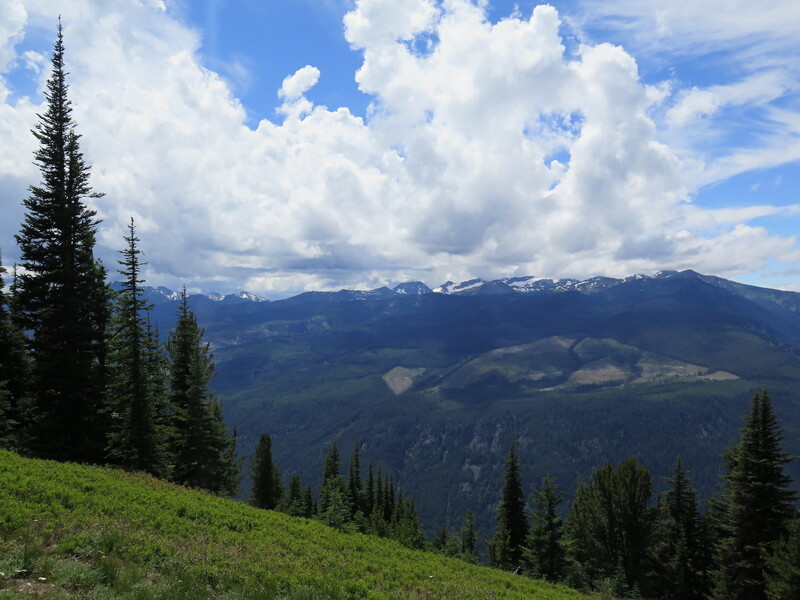 Plan an exposed, ridge line hike for another day or be off exposed terrain and mountain tops by noon. Get to safety before you need to. As I was reminded yesterday, conditions change fast. If you can hear thunder, you’re already at risk. Lightning can travel up to 10 miles horizontally. If you see lightning, signs of rain, or dark underbellies forming in clouds, turn around and descend to a lower elevation immediately. Don’t be the tallest object in the area. In a forested area, look for a small group of trees surrounded by larger trees or a dry, low area like a ravine or depression. Avoid tall lone trees or objects. In an open area, look for a dry, low-lying spot and become the smallest target possible. Don’t seek out caves or overhangs. I know it seems logical to hide inside a cave, but lightning travels along vertical surfaces. If it jumps a gap, any object bridging that gap can conduct the current. Caves and overhangs are extremely dangerous in lightning storms. Stay away from metal objects. Get away from metal fences or power lines. Get rid of ice axes, climbing equipment, and metal trekking poles. Stay away from water. Water is an excellent conductor of electricity. Stay away from wet climbing ropes, puddles on the trail, or bodies of water. Spread out your group. If you’re with a group of people, everyone should spread out a minimum of 20 feet so that multiple people aren’t affected by one strike. If someone is struck, others can provide assistance. Get in a lightning stance. Don’t lie down! Most lightning strike injuries are caused by ground current from a nearby strike. Squat down on the balls of your feet and keep your feet together. Minimize your contact with the ground. Watch the video below for some fascinating information about ground current and how minimizing your ground contact can reduce your risk. According to the National Atmospheric and Oceanic Administration (NOAA), lightning strikes the US about 25 million times per year. An average of 49 people are killed by lightning each year and hundreds more are severely injured. Most lightning injuries are caused by ground current rather than direct strikes. NOAA has a webpage that illustrates the 5 ways people are struck by lightning as well as common lightning myths. Did you know that although your chance of being hit by lightning in any given year is almost 1 in a million, over a lifetime those odds drop to 1 in 10,000? Best not to tempt fate don’t you think? A great brochure from NOAA illustrating lightning risk management. Right click and save to see it in a larger format. If you happen to be a weather geek such as myself, Cliff Mass is always a great resource about the science behind things and he wrote an article about 2016’s Cascade thunderstorms. The video below is one of the best I’ve seen for debunking lightning myths. It’s fascinating, funny, and has some great information and tips about ground conduction and lightning safety. Learn from my bad example… fire lookouts can wait for sunny days. Happy hiking everyone and stay safe out there! The mountain will always be there for another day!